If you play legacy without hacks and mods you will be in need for small starter homes with very little money. This little house was built for this purpose, and is CC and Store items free. If your single sim want to start a new family, this would be a good place to start. It's a budget home, but perfect for a young couple and a baby. 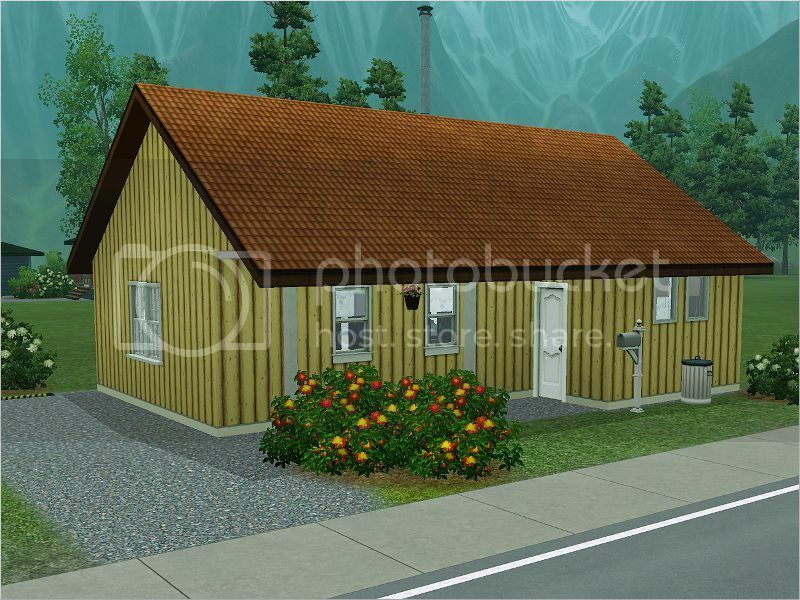 This lot is not a part of a series, but it goes well with the Home Sweet Home series or the other Scandinavian style houses. It comes in two versions: furnished and unfurnished. * Not able to see the images? Follow this link: Modum starter. Not furnished except for basic lighting, kitchen and bathroom equipments. There are just a few items on this lot that are not from the basic game. They will be replaced with items from the base game, if you don't have them.